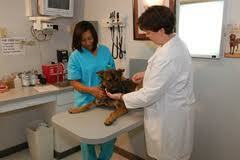 I have been a veterinary technician for over 20 years. 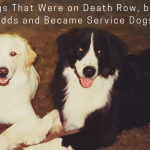 I got into this industry because I was good at dog training and dog handling. I started as a receptionist but quickly worked my way up to handling bad dogs. Thankfully I had the ability to handle the really bad and aggressive dogs. 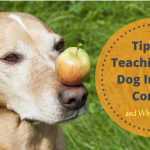 I love both my veterinary technician job and my job as a dog trainer, and thankfully I am given a voice to help others who may run across similar training and health issues with their dogs. 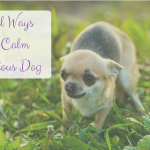 Here’s how to stay calm in dog emergencies. Make an emergency kit for your dog! 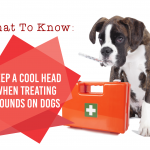 The first thing to know is how to treat minor wounds on dogs. Minor wounds come in the form of scrapes, bruises, ripped paw pads and cuts, among some other negligible conditions. Scrapes and abrasions can happen when your dog runs through a wooded area or scrapes his fur and skin on things like rocks or other things in his environment. Manuka honey may help some small wound healing process. Bruises which are simply damaged small blood vessels that bleed under the skin can appear a day or two after a scrape or cut. Ripped paw pads can range from small rips and little damage to bleeding paws. If there is active bleeding you should seek the help of your veterinarian. 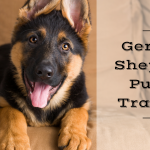 If the damage is a small injury and the rip is negligible or not tender to the dog, the damaged tissue paw pad can usually be trimmed back so that it doesn’t tear and create more injury. Imagine damaging your own skin, the damaged skin has died and is no longer painful; but when pulled or caught it damages the surrounding tissues which are still sensitive and alive. Trimming the dead tissue can help the healing process of the alive tissue. Cuts can happen anytime your dog receives damage to his skin by either something sharp or something blunt. Cuts can range anywhere from minor in both length and depth to seriously life threatening when they are deep or cut a major vein or artery. 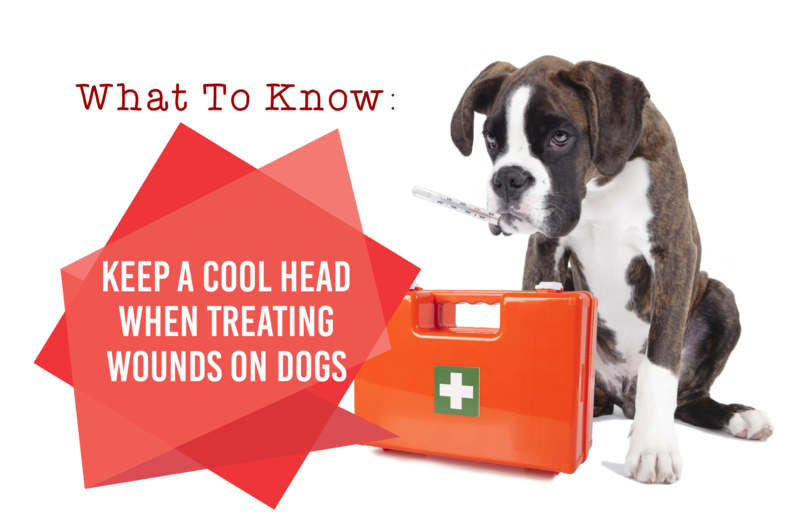 If the your dog has incurred an injury the first thing to do is assess the area and the damage. 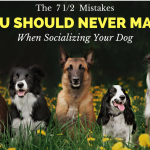 For many dog owners, they have a hard time dealing with the pain and wounds of their dog, however if you are going to either help your dog yourself or take your dog to the veterinary clinic; it is best to assess the damage and be prepared and in the know. One of the best ways to assess a small wound is to shave the damaged area. It may require you and a friend, a neighbor or a family member; but shaving will help you discover how much area has been injured. Many dogs come into our veterinary hospital with a small wound only to have us begin shaving and realize how much more of the surrounding skin and tissue is suffering from infection or rashes. Many times these infections will require antibiotics prescribed by your veterinarian in order to help your dog recover. By shaving the area, you can see how much of the skin is affected and shaving helps to clean the wound. Fur, simply by it’s nature, holds bacteria and can keep the skin from breathing adequately. Shaving the fur can help you to clean and sanitize the wound care area. Shaving also keeps the area dry. Often time drying the wound is preferential to using ointments. Ointments can keep bacteria closer to the skin and inhibit the healing process. Just like our own wounds, sometimes letting them dry out and form a scab is better than keeping them open and oozing with ointments. If in doubt as your vet! Be sure to shave in the direction of the wound and don’t run the clippers too close to infection or a laceration or cut. By doing so, you can inadvertently make the wound bigger or create more bleeding and damage. You certainly don’t want to make the pain or injury greater. If the wound needs to be clipped closer to the skin or against the grain of the fur, allow your veterinarian and his/her veterinary technicians to use his/her skill and medical knowledge to do so in their treatment area. If the wound is something you feel you can touch and deal with after shaving, the next best thing to do is to clean the injured area. Be sure to use a mild soap and warm water. Wound care is important! Cold or hot water can shock the area and cause more pain. Harsh chemicals like peroxide, isopropyl alcohol or strong soaps can damage the tissues that are trying to begin the healing process. Inappropriate wound care and treatment can hurt your dog. In veterinary medicine we often use diluted chlorohexidine soaps and solutions. We often also use betadine solutions. Both are gentle on the skin, tissue and wound; but dilute chlorohexidine is less likely to stain clothing and is easier to use click here for more information. I will mention this again, because it is so important, many wounds do better if they can dry out a bit and heal. After having a piercing, it is recommended that you clean the area about twice daily and let it dry. Putting ointments like Neosporin on puncture wounds can actually help bacteria breed. 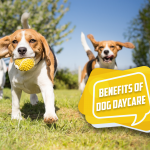 In some instances your dog may need some prophylactic antibiotics, prescribed by your veterinarian so that the area can also be treated by a cream like silver sulfadiazine without creating an issue. If you are in doubt ask your vet! It is sometimes difficult for me to assess just what a dog wound might need and I have worked in this industry for over 20 years. Treating complicated wounds can be more difficult and may need to be assessed by your vet. Puncture wounds usually need prophylactic antibiotics. Bacteria and debris on the puncturing instrument can cause serious infection and abscesses to form under the skin. Treatment of puncture wounds and exploring them and their length is important. Make sure you utilize an Elizabethan Collar because dog saliva can spread bacteria and make wounds more severe. Dog bite wounds may also need very specific care. Most need prophylactic antibiotics to reduce the chances that infections will spread and abscess. Depending on the size of the dog bite wound a drain may need to be applied to help infection to safely drain out of your dog’s skin. Cat bite wounds are seriously dangerous. Cats have a large amount of bacteria that live their mouths. In veterinary medicine we joke that they are like Komodo Dragons. Most of us that work in this industry would rather be bitten by a dog than by a cat. I have had several coworkers that have had to be hospitalized on IV antibiotics after a cat bite. Thankfully cats don’t often bite dogs (not as often as dog to dog bites). If you don’t know what bit your dog but you assume it is an animal bite of some sort, be sure and take him to the vet to be on the safe side and to be treated with antibiotics as a precaution. Even if you aren’t quite sure it is an animal bite; it is better to be safe. Let your vet figure out if he thinks it is an animal bite or not. We are always trying to assess wounds for tooth punctures. We usually lacerations in the veterinary world are considered bigger than “cuts” and can have jagged edges. Typically most lacerations are not caused by very sharp objects; creating that jagged edge. Many lacerations need to be surgically sown up by your veterinarian, and wound closure may be very difficult. Any laceration should be assessed as quickly as possible so that it can receive proper treatment. The older the laceration the less apt wound closure can be safely achieved. Old wounds often become necrotic around the edges and their treatment cannot be closed safely, surgically. Often times the area needs to be cut back into undamaged and alive tissues (surgical debridement) so that they can be surgically sown or stapled and the tissues can heal. Make sure you don’t allow your dog to lick. 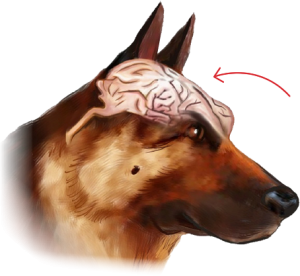 Dog saliva can damage skin and affect wound closure and healing. Otherwise we have to allow them to heal by “second intention” meaning what we would have sown shut will have to heal on its own and form granulation tissue. This typically takes much longer and may need an extended treatment of antibiotics to keep infection from spreading and killing tissues that are trying to heal. Old wounds can also encourage infestation of maggots, especially in hot weather. Maggots can cause severe tissue damage and necrotic tissue, so do your best to assess your dog after long periods of time outside. Bleeding can come in many forms. 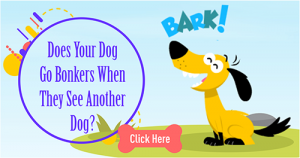 You might find a few drops of blood, or your dog might be hemorrhaging from a vein or artery. Obviously, a few drops of blood is less scary and you can take your time to begin your assessment process. Honestly, fresh blood and bleeding is better than finding an old wound, because again, fresh wounds are easier to suture, treat, and treat with prophylactic antibiotics as well as ointments that might assist in healing. 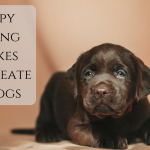 If your dog is bleeding more than you are comfortable with, but is not actively hemorrhaging you can bandage the area before heading to your vet. One of my dogs cut her foot on sharp metal lawn edging. Her foot was bleeding a great deal and the injury was deep, but I wasn’t worried she was going to bleed out before I could get her to the vet. I was able to use some nonstick gauze pad, rolled cotton, vet-wrap, and elastikon to bandage her and get her to the vet for sutures and assessment. She needed 5 sutures and was losing blood fairly rapidly! Bandage changes should be done every 2-3 days to assess healing. If your dog is bleeding heavily a tourniquet may be your only option. Again, take a brief moment to assess the area and damage. A cool head is required even in serious emergencies. It is also important to make sure the tourniquet is applied correcting, above the wound and on the legs or paws and that it is not left on too long! A tourniquet should not be left on for more than 10 minutes! If you must apply the tourniquet release and reapply. Tourniquets left on too long can create permanent damage. 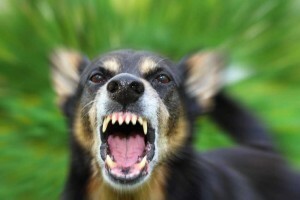 In short it is best to prepare yourself mentally and physically for a probably emergency or wound incurred by your dog. Get comfortable taking your dog’s temperature and assessing what he looks like normally, so that you can better assess when he is distressed. 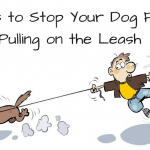 Look your dog’s body over when he has spent time outside. If you see blood take some time to try and find its source so that you can help your vet. If you can, shave and clean the area prior to your arrival at your vet; this will help your veterinarian immensely. Keeping a cool head during an emergency or even when dealing with a wound can mean the difference between life and death. Do you have any other first aid tips? Please share them in the comments!